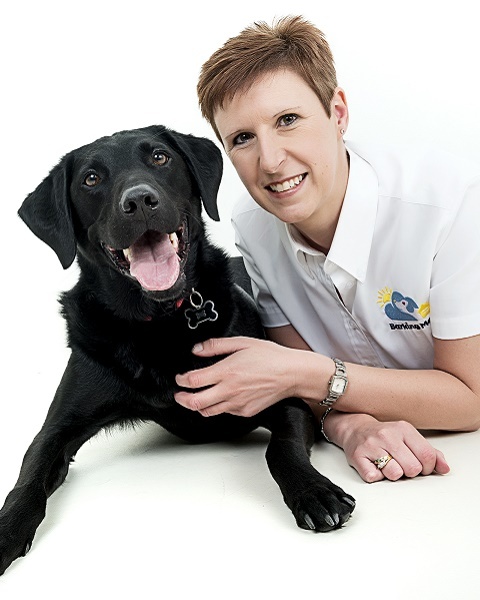 We provide the very best dog home boarding near you in the South Northampton, Towcester, Brackley and Daventry areas. Dogs deserve a holiday too! Hello, my name is Shirley Rands. I live in Towcester in South Northamptonshire and am delighted to run your local Barking Mad dog sitting service also covering Brackley and local area. As a dog lover and owner myself, I know Barking Mad can offer the best and most rewarding holiday for your dog as an alternative to kennels. I love meeting people, and have pride and passion in my work. With Barking Mad I can still deliver all of these qualities, whilst offering a great unique service to dog owners for their beloved family member while they are away. My Westie, Deefer, was on medication for life and after owning him from a puppy he was very much one of the family. I wanted the best for him and when I went away needed to have someone trustworthy to look after him, give him the personal care that he needed, and his cuddles and walks as he was used to, whilst ensuring he received his medication. Barking Mad arranged for him to be cared for by another dog lover, kept his same routines and we both had a stress free holiday. It was great! Unfortunately I lost Deefer in 2012 at the age of 12, but now own a Black Labrador , Diesel. He has very different needs but still receives the same care, love and attention he craves, whilst maintaining his all-important routines. My background is in retail banking and I have worked for two of the big banks over a 20 year period, my last 5 years in management. I look forward to meeting you and your best friend.